An Arkansas political campaign manager was shocked to discover his family pet with one side of its head bashed in — and the word “liberal” scribbled across the corpse in paint. Jacob Burris has served as Ken Aden’s campaign manager since October 2011. Aden, a Democrat, is currently running for Arkansas’ 3rd Congressional District. Burris told the Blue Arkansas Blog that one of his younger children found the pet, an adult, mixed-breed Siamese cat, on their front porch. He said the children are doing fine, but he is not taking the threat lightly. The Associate Press confirmed with the Russellville Police Department that the campaign manager had filed a report, but they did not have any suspects at this time. Although the campaign between Aden and incumbent Steve Womack has been tense, Aden’s group stated they do not think anyone in the opposing campaign to be responsible. WTF is the deal with this violent hazing crap? These kids are going way overboard and seriously injuring their fellow band mates, sorority sisters and brothers and initiates. This isn’t fun – it isn’t a “rite of passage” and it damn sure doesn’t reflect on any o the values of the organizations involved. Four members of the Florida A&M marching band were arrested Friday and charged with hazing. According to police records, pledges of the band club for clarinet players known as the Clones were punched or paddled while they played music during a hazing initiation. The four students arrested are: Denise Bailey, 22; Brandon Benson, 23; Hakeem Birch, 21 and Anthony Mingo, 22. They were booked on a misdemeanor hazing charge and released on bail. 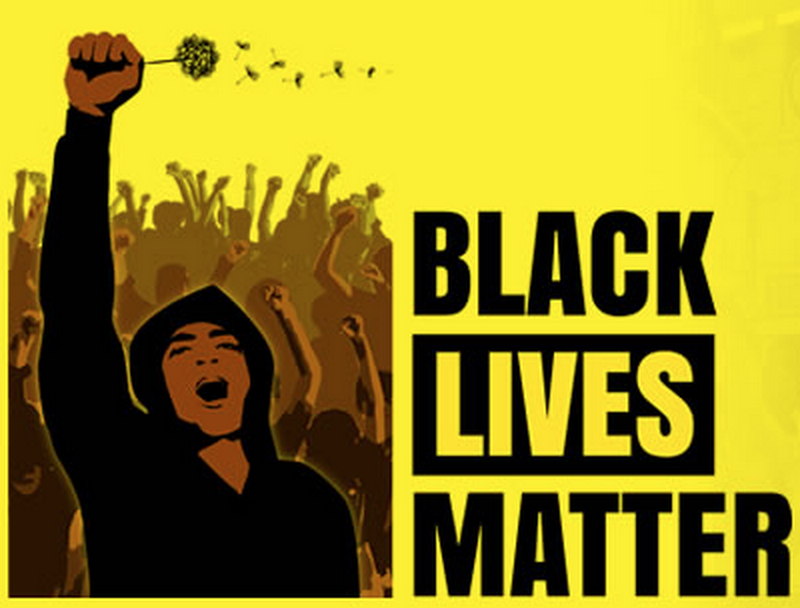 The arrests are the latest fallout from a scandal that has rocked the university. In November, FAMU drum major Robert Champion died hours after the Florida Classic football game in Orlando in what authorities said was a hazing ritual. His death has been ruled a homicide, but no charges have been brought. The 26-year-old drum major suffered blunt trauma blows to his body while he was aboard a bus and died from shock caused by severe bleeding. Friday’s charges are not related to Champion’s death, but to “three or four initiation meetings” that began around Sept. 1 in a house about a mile from campus. Five pledges to the Clones were lined up and “forced to exercise, play music, and were either punched, prepped (slapped with both hands on back) and/or paddled,” police said. One of the pledges took photos of her bruises and quit after the first meeting. FAMU president James Ammons originally fired band director Julian White after Ammons said he failed to report hazing he knew about. White, who is now on administrative leave, denies that he didn’t do enough. White previously provided copies to The Associated Press of letters that he sent to the newly arrested students Hakeem Birch and Anthony Mingo in November, saying he was suspending them until a hazing investigation by university police was finished. In December, three band members were charged with hazing after allegedly beating pledge Bria Shante Hunter’s legs with fists and a metal ruler to initiate her into the “Red Dawg Order,” a band clique for students who hail from Georgia. According to CBS Miami, the beating was so severe Hunter suffered a broken thigh bone and blood clots in her legs. The Board of Governors – which oversees the state’s 11 public universities – launched an investigation in November into whether FAMU officials ignored warnings about hazing. 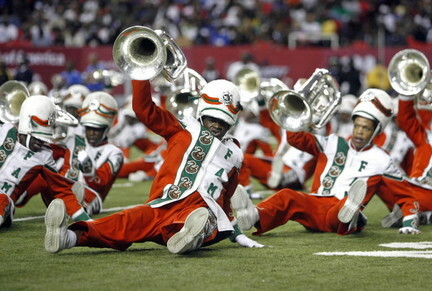 The Florida Department of Law Enforcement also is investigating the Marching 100’s finances. A sad note on the very week a long awaited movie about the exploits of th Tuskegee Airmen is released – Ace Pilot Luke Weathers was interned at Arlington Cemetery. During the War, at least 47 Pilots were awarded Purple Hearts for injuries received on combat missions. While most folks equate he Red Tails with the P-51 Mustang Aircraft, the Tuskegee Airmen also flew the Curtis P-40 in North Africa, the Bell P-39 Air Cobra, and the deadly P-47 Thunderbolt – which actually sank a German Destroyer, and was the first plane to get the distinctive “Red Tail” livery. On the same day that retired Air Force Lt. Col. Luke Weathers Jr. took his resting place among other war and military heroes, his real-life story as a World War II aviator played out on movie screens across the country. Weathers was buried Friday at Arlington National Cemetery in a service that began with a flyover of four F-16 jets in the Missing Man formation, a special honor reserved for pilots, by the 113th Wing of the D.C. Capital Guardians, the same unit that guards the airspace over the nation’s capital. Weathers died Oct. 15 in Tucson, Ariz., of pneumonia at age 90. His burial coincided with the official opening in theaters of “Red Tails,” a George Lucas-produced movie retelling the story of the Tuskegee Airmen who debunked widely held beliefs that black pilots were incapable of fighting in combat. Shortly after the flyover, in which one of the three jets departed from formation, a caisson pulled by six horses carried Weathers’ body to his burial spot amid hundreds of the stark marble tombstones that cover the grounds of the national cemetery. An Air Force band accompanied the wagon, its drummer thumping a solemn beat as family followed on the chilly, overcast Friday morning. Family members wore red ties and scarves, as they had at Weathers’ Memphis funeral, as a nod to the aviators who painted their aircrafts’ tails red to set themselves apart. Luke Weathers III, 61, said his father and other black Americans who fought in World War II did so to prove they were men, “and then they wanted their country to love them, but that didn’t happen, either.” Friday’s ceremony, however, finally delivered recognition of his father as a national hero, Weathers said. This kind of attention to the Tuskegee Airmen is what the elder Weathers wanted throughout his life, said his daughter, Trina Weathers Boyce. Weathers was not vain, but he wanted to share the lessons of the airmen’s courage in war, their struggles for equality and their victory over a wartime enemy and over racism, she said. Many of the Tuskegee airmen, which included navigators, mechanics, medical personnel and others in support roles, trained from 1941 to 1949 at the Tuskegee Institute, which was founded by Booker T. Washington and was already home to an aeronautical engineering program. President Obama at the Apollo Theater! Nice Cover of Al Green!